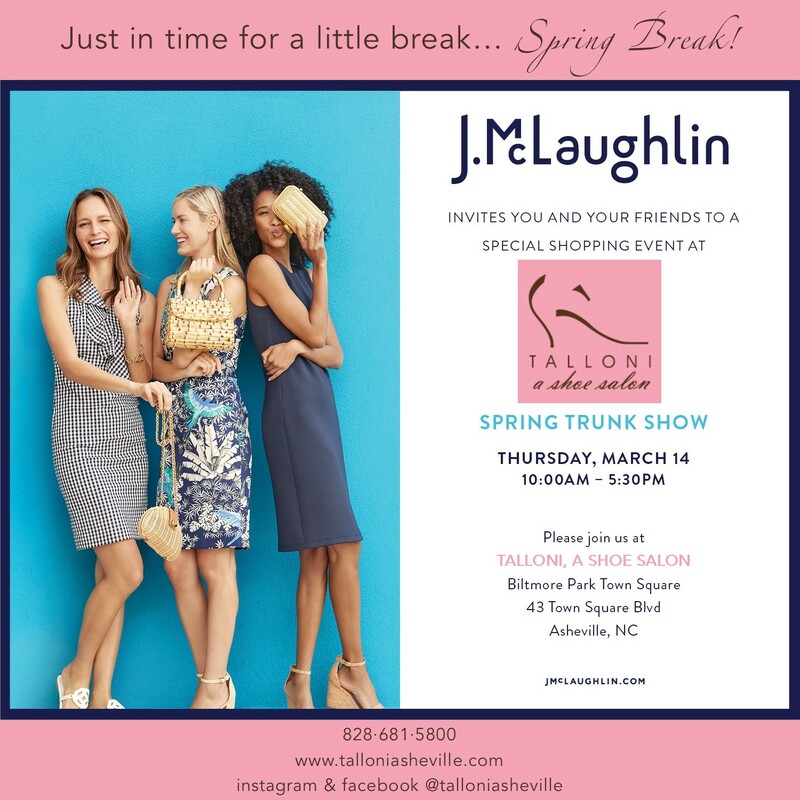 Join Talloni, A Shoe Salon this Thursday, March 14th, for a special trunk show featuring apparel from the new J.McLaughlin Spring Collection. Complete your wardrobe with the perfect shoes and accessories from Talloni's new spring arrivals. Click here for more information or contact Talloni, A Shoe Salon at 828-681-5800.